Tired of fuzzy front sights and shotgun beads? Want to see your sights faster and more clearly? Want a LARGER more visible replacement? Just announced by TK4B Enterprises, LLC. 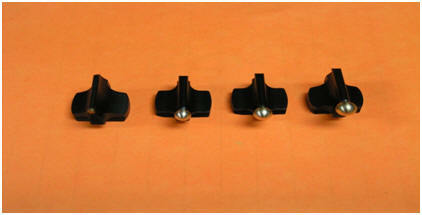 are newly designed and developed replacement larger front beads for your Marbles or Williams front rifle sight and shotgun beads. As has been the motivation for many of SliX-Prings* products the request for larger front beads came from numerous customers and shooters. This interest was further expressed by many participants at the 2014 SASS Convention held in San Antonio, Texas. Numerous fellow shooters approached us after we had been presented the “Wooley” award and expressed a desire to see if our innovation could result in larger beads. Fortunately, our relationship with one of our manufacturers allowed us to accelerate the production and they are now available in three different sizes for rifles and two sizes for shotgun. The different rifle beads are pictured above. The contrast should be evident between the standard Marbles 3/32”bead and the progressively larger SliX-Bead that measure .150”, .175”and .190”, from left to right. 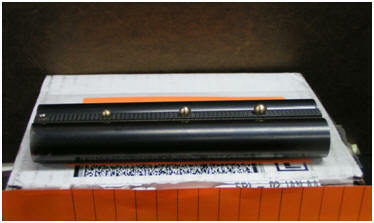 The .150”bead was designed to replace the popular “Grabber” bead previously provided by Manatee. The additional sizes were selected after a simple field survey of older shooters and a check to see what was more visible. Thus the sizes selected. The same survey suggested that the same sizes would apply for shotgun beads. Since the .175” bead is already available from other sources, we therefore are only producing two larger sizes. The beads, which are threaded to a standard 6-48 pitch, are .190”and .220”in diameter and easily seen even through dense smoke. As you can see in the picture above, the rifle beads are made with a stem that will press into the Marbles or Williams larger sight base after carefully removing the original. In most cases the SliX-Bead will press right into the hole from which the original we taken. Some may require some assistance with reaming or drilling the crimp that held the stem solid. 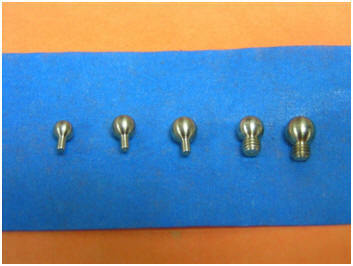 The shotgun beads are threaded to 6-48 which seems to be the standard bead thread for most replacements. The manufacturers want to clearly point out that if you have little or no idea how these beads are supposed to fit and work, get help or find someone who does know how to install them. Due to all the variations in machining tolerances and variations in the crimp on rifle sights and different thread pitch for shotgun beads some sensitive work may be required. * Trademark of TK4B Enterprises, LLC.